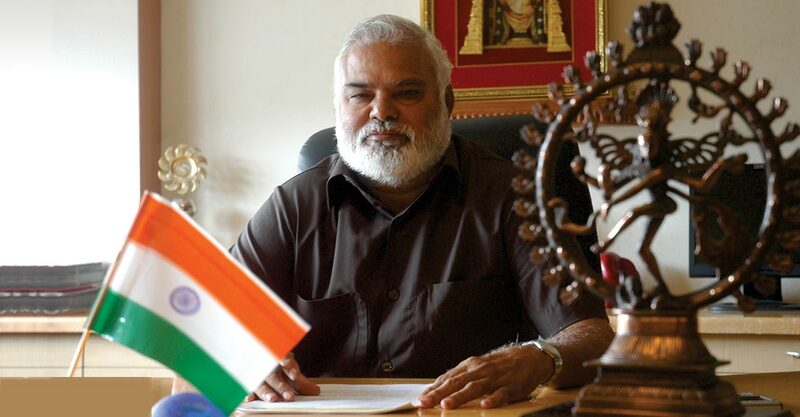 Dr. (Col) A. Balasubramanian is an eminent educationist, philanthropist, a gifted writer, and a decorated army officer. He has been instrumental in setting up Symbiosis Institute of Management Studies and is the ‘Atlas’ of The Sri Balaji Society. Prof. Bala, as he is popularly known in the education circle, is a triple Post Graduate and a rare personality known for his innovative approach and has made history in the field of education. He is a classic example of courage, commitment and intimate relationship with the corporate world. A soldier and a student, Dr. (Col.) A. Balasubramanian is also a trainer, a consultant, a gifted writer, an author and the pioneer who conceived the idea of creating the first Post Graduate Management Institute in India exclusively for the Defence Personnel and their dependents. A retired Army Personnel, he is the first Indian from Armed Forces in the history of India to be conferred the Honorary Rank of Colonel after retirement. Standing tall with him on this exclusive dais are famous sportsmen like Kapil Dev, Sachin Tendulkar, Abhinav Bindra, Mahender Singh Dhoni and the famous actor, Mohanlal. Dr. (Col.) A. Balasubramanian has many feathers in his cap and is known for his creative, successful, and bold experiments in management education ventures. He is a firm believer in the values of Discipline, Determination, and Dedication and leaves no stone unturned in ensuring that these values become the lifestyle of the PGDM students enrolled in the Society. It’s a common belief that a man is a product of one’s environment. But for men with a strong will power, the environment is never a limiting factor. Prof. Bala is one such individual who has fought against the environmental factors to craft a fortune for himself. Born in the iron grip of poverty education was a scarce commodity to come by. To make a place for himself in the world, he left the comforts of a protected family life and joined an orphanage and completed his education up to high school. He then joined the Indian Army as a Sepoy and retired as a Subedar after a service of 28 years. While wearing the uniform, he acquired three post graduate degrees with flying colors. His inclination towards education and knowledge did not end with acquiring degrees for himself but led him to create The Sri Balaji Society and the Institutes under it which have groomed more than 15000 managers till date. His scholarly attributes and commitment to students has ranked him as one of the leading lights in the field of education in India. Dr. (Col.) A. Balasubramanian believes that ‘Education is the enhancer of knowledge, skill, and attitude. It is the energy of a nation. It is a source of discipline, dedication and determination necessary for transforming the effort into action for achieving the goal’. In line with his beliefs he steers the four prestigious management institutes in Pune, namely Balaji Institute of Modern Management (BIMM), Balaji Institute of Telecom & Management (BITM), Balaji Institute of International Business (BIIB) and Balaji Institute of Management & HRD (BIMHRD), collectively forming the powerhouse of education known as the Sri Balaji Society. The vision and mission statement of Dr. Bala is 'Problems are opportunities and Be Selfish'. The other colleges run by him are Balaji College of Arts, Science & Commerce (BCACS), Balaji Junior College of Arts, Commerce & Science (BJCACS) and Balaji Law College (BLC) providing education to undergraduate students.